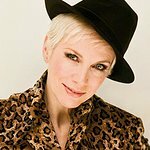 Annie Lennox has blogged about women’s rights following the massive turnout to Women’s Marches around the world. “As a long time passionate and committed advocate for the rights of women and girls, I know full well that it will take a lot more than one single collective march to create sustainable/ logistical transformation when it comes to gender equality and rights,” she wrote. "The core heat seemed to go out of the Women’s Liberation movement decades ago, and only a couple of years ago the word ‘Feminist’ has been more than often a cause for confusion, division and provocation in one way or another… as it still is. “The good news is that the rights of women and girls is back on the agenda in a BIG way. “The younger generation of women and men, girls and boys will be the ones to carry the baton and make sure it is guided towards effective long term transformation. “I’ve always known that the issue is stronger when everyone stands shoulder to shoulder with a shared common goal. “The word Feminism is like a tree with many branches belonging to the same fundamental roots.